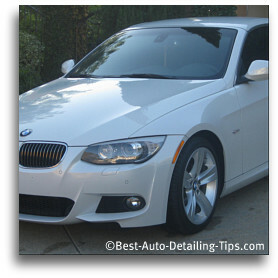 The Auto Wax Reviews taken from the real world of professional auto detailing! It seems that most auto wax reviews are nothing more than product labels regurgitated all in attempt to sell us fickle consumers more and more products! As consumers looking to protect and enhance our cars, we are forever chasing the "silver bullet"! It seems the industry has us chasing our tails from one hyped-up product to the next; surely every product can't be the "best car wax"! As an auto detailing professional, I am bringing an unique approach to the game that comes from years of first hand car detailing experience. 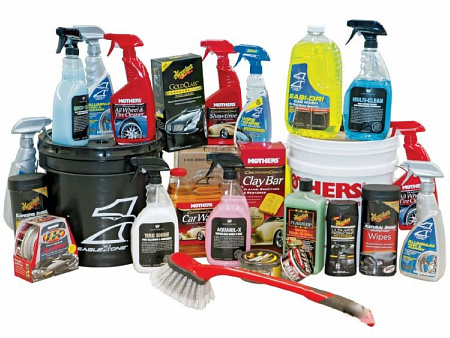 Any trip down the car care aisle at your local retailer will put you into anxiety overload! Each manufacturer doing its best to get you to spend your hard earned dollars with their fancy packaging and strategic marketing. So Many Voices, So Many Choices! Where is the "I just want to wax my car and have it look good wax!" Unfortunately like so many other areas of life, it just isn't that easy. Advances in chemical engineering have made our lives as car owners and enthusiasts easier with amazing products that are not only easier to use, but perform better than ever. But along with this better technology means an ever increasing amount of choices. Being in the world of professional auto detailing comes with advantages most of you reading this will not have. Not only am I required to know what works, with techniques that are based on efficiency, but I get to test these products in the real world of professional detailing. Auto Wax Reviews Based on the Real World! In the real world of professional detailing! I am in the unique position to do what most people like yourself don't have the time or ability to do, and that is testing all these products to see what actually works and what doesn't. Use any of the links below to follow along with the car wax reviews and see what this professional has to say. I will continue to add more and more products out in the real world of my car detailing business, so follow along and see what this professional has to say in my auto wax reviews.